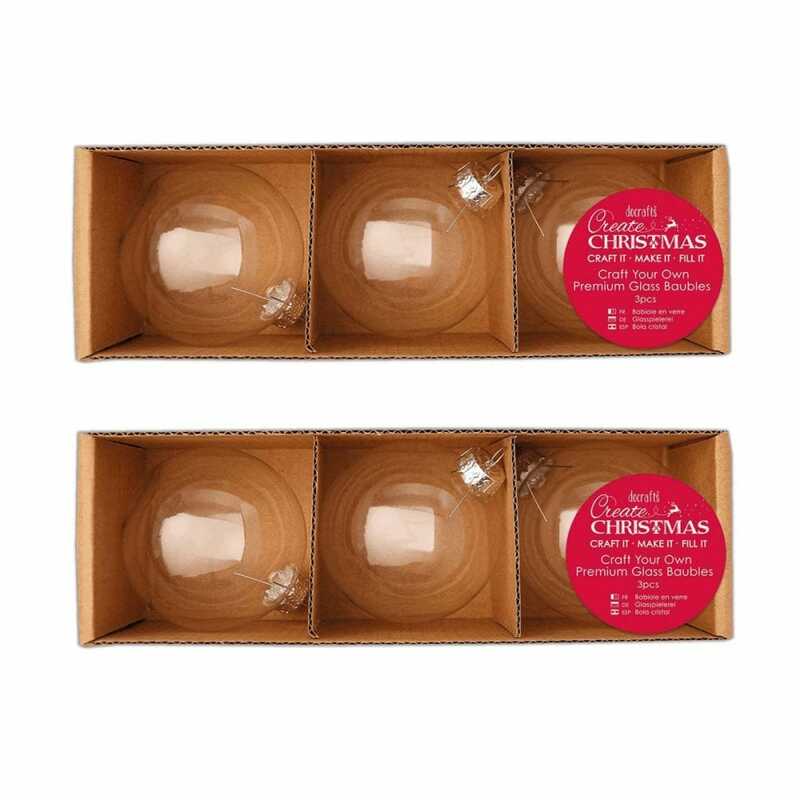 This pack contains 3 premium glass baubles. Simply remove the lid, fill and hang. Match with our mini jingle bells and faux snow to create the perfect Christmas decorations.